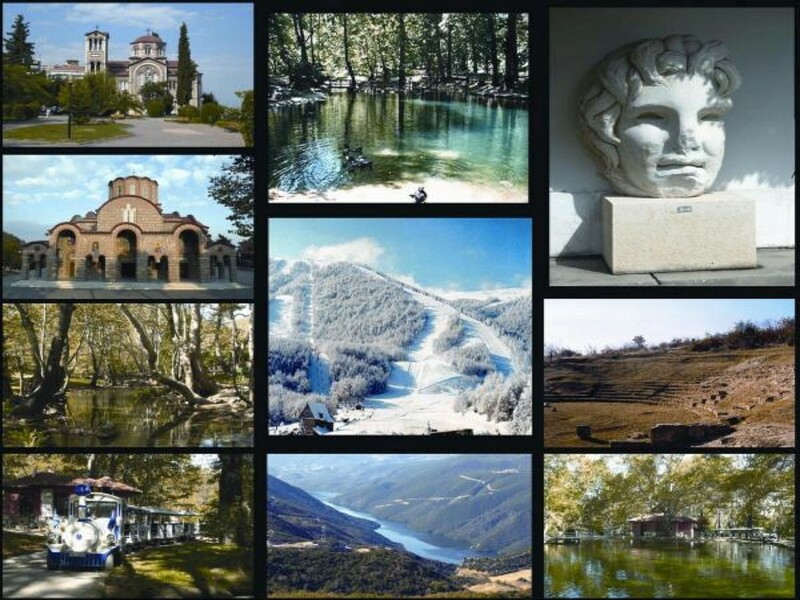 The history of Macodonia is here and is made evident with the neolithic settlement in Makrigialos ( 5000. b.C), the Ancient Pydna, one of the most important towns in Macedonia, with the ancient cemetery, the Macedonian Tombs (5th cent.b.C. ), the Episcopal complex and the traditional fountain of the post-Byzantine era (18th cent.a.C.). Nowadays, culture thrives within the Olympus International Festival framework and the various local cultural festivities. If you walk along the Bay of Methoni and Nea Agathoupoli you will come across an attractive beach of the same name which has been awarded the European "Blue Flag" for cleanliness. This area, with its charm and natural beauty promises you a holiday where you can relax and leave your worries behind you! One of the most important wetlands in Europe is to be found adjacent to the Aliakmonas Delta. There is an information centre in Nea Agathoupoli where visitors can learn about the Marshlands of the Aliakmonas and the rest of the Delta as well as those of Alikes and Kitros. There is a wide choice of hotels, rooms to rent and organised campsites available for your stay where you will receive a friendly welcome and can enjoy a stress free holiday. Typical fish restaurants next to the beach have a good choice of fresh fish caught locally to tempt your palate. It is not by chance that the inhabitant's of Greece have the longest average lifespan in the world, and the reasons for this are not hard to find. One of them lies in the extensive consumption of fish, and you can find snapper, bass, oysters and octopus in these two villages as well as many other varieties of sea fare for you to feast on. These villages are 26 kms from Katerini, the region's capital, and are easily accessible from The National Motorway E75 (Junction: Nea Agathoupoli), the Old National Road from Thessaloniki to Katerini (Junction: Methoni) and from the recently completed coastal road which runs from Olympic Beach (Katerinoskala) to Nea Agathoupoli. Looking for vacation rentals in Methoni? ................................ and you will find just the right for your vacation!